Kent Simpson, co-founder and COO, has over 20 years of construction, property development, property management, and homebuilding experience. A Colorado State University graduate, Simpson is passionate about creating award-winning custom constructions in both his professional and personal life. Josh Fiester comes from a large scale commercial and residential background and has over 12 years of experience in the field. Fiester is LEED (Leadership in Energy and Environmental Design) certified and served as project manager for the first LEED Platinum commercial building in the United States. 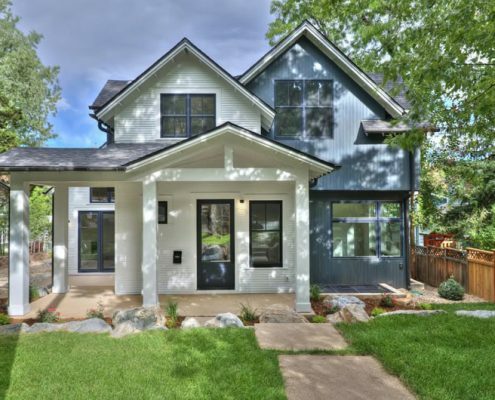 Factor Design Build’s Osceola home showcases the “flawless integration of clean, bright design with efficient, spacious living concepts,” according to Denver Architects’ article. 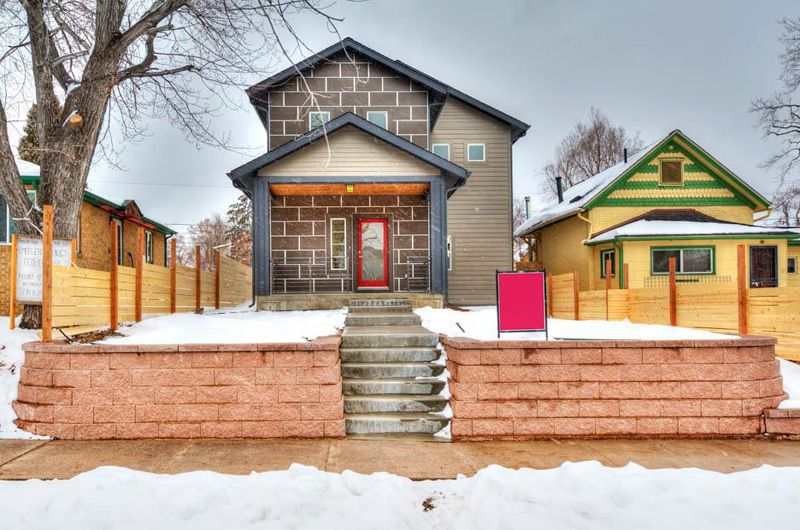 Masters of aesthetically pleasing and innovative layouts, the Factor Design Build team made this Denver Highlands project one of a kind from the outside in. The stone-front Osceola remodel blends influences of classic and modern, beginning with its straight front walkway, fire-red front door and wood-accented covered porch. Highlights on the interior of this redesign include an open, three-level wooden staircase accented by black iron railings. Further into the home, you will find built-in shelving behind the fireplace, French doors in the kitchen, an oversized island with a convection oven, and well-spaced can lighting throughout. Another standout project from Factor Design Build team is their quaint Farmhouse on Fifth located in Boulder. A blend of classical, old-world warmth blended with contemporary interior design influence, this 4,500 square foot custom built home is packed with customizations. A stunning modern design with traditional influences, this Newlands property offers a four bedroom, three and a half bathroom floorplan. 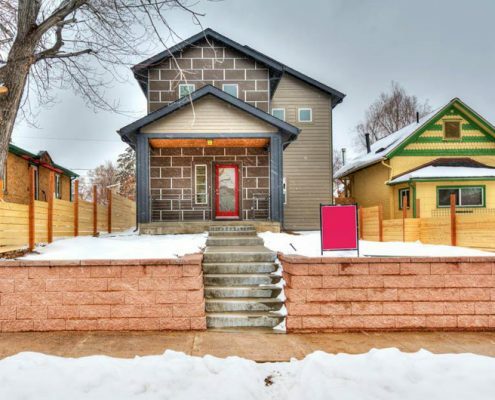 Built in 2015, this home features a covered front porch, stone cladding, Sierra Pacific windows, and a detached two-car garage. The interior boasts oak plank flooring and stairs, custom kitchen cabinetry, and a luxurious Carrara marble island and backsplash. Designer Thermador SS appliances include a gas cooktop, commercial style hood, and double ovens. The Farmhouse on Fifth also features floor-to-ceiling windows, a raised deck and finished walkout basement. In this home you’ll find Factor Design Build’s signature black iron staircase railings and immaculate custom tile work in both the bathroom and kitchen spaces. This property showcases the artistry and customizations that go into each Factor Design Build property. Whatever your dream home looks like, let Factor Design Build make it a reality. Every member of our carefully curated team shares our passion for creative, inspired spaces that enhance the quality of each clients’ lives. As we work with you toward a common, custom goal we manage each step of your project through a collaborative partnership with our design staff, architectural team, construction personnel, and trade partners. At Factor Design Build we’re proud to serve families and businesses in Denver and Boulder. If you’re looking for a one-stop resource for your home renovation or remodel, look no further than the experts at Factor Design Build.